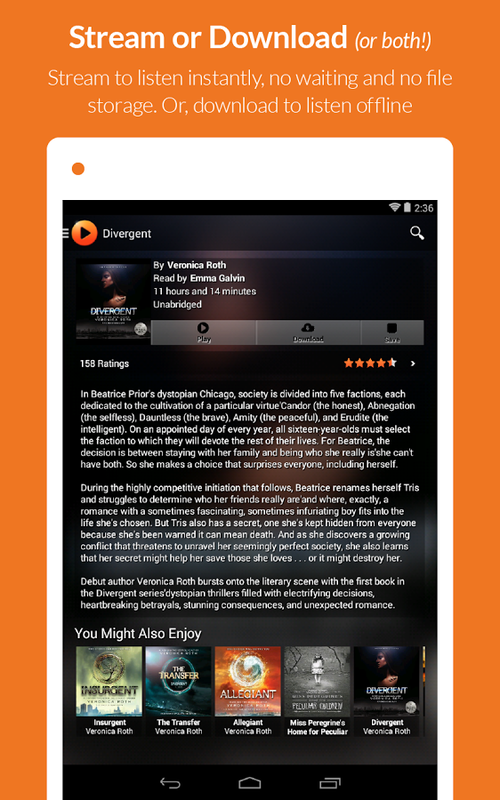 Download the fastest and most responsive Audiobooks.com app yet. 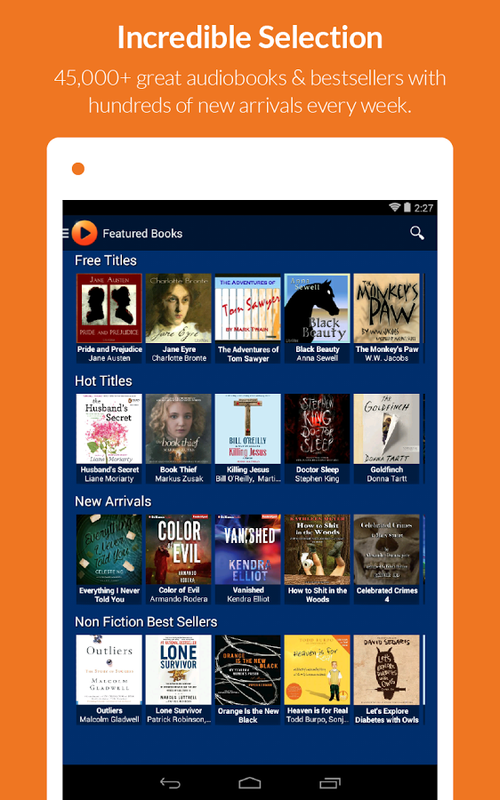 This free app has a library of more than 45,000 free audiobooks, best sellers, new releases and classics in every genre including fiction, romance, non-fiction, children’s audiobooks and more. Download or stream an audio book to your Android smartphone or tablet and start listening to a great story instantly, anywhere. 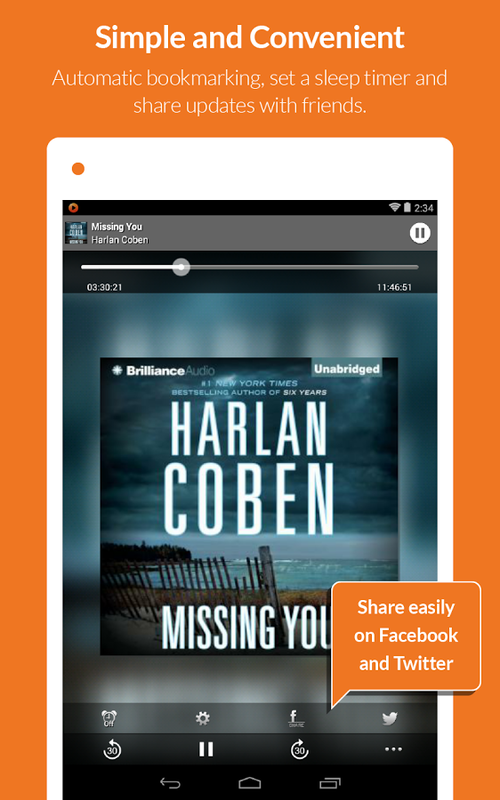 Audible stories allow you to download, stream and read your favorite books on-the-go! Sign up online at www.audiobooks.com and receive your first audio book free. If you don’t like the service you can cancel your audio book membership at any time, no strings attached. • Your first audiobook is free! Choose any book in our library to get started.